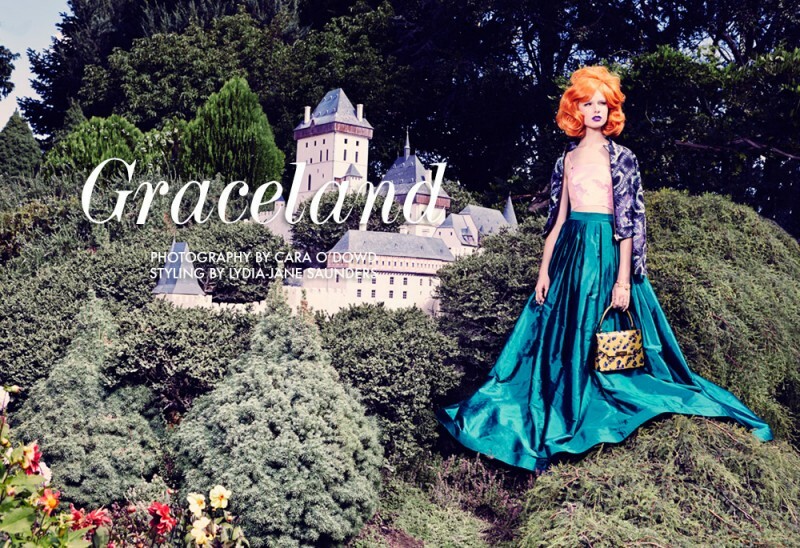 Graceland – "Inspired by “The Attack of the 50 Foot Woman”, photographer Cara O’Dowd creates this Fashion Story featuring Grace as a giant with some killer style. Wearing pretty pastels selected by stylist Lydia-Jane Saunders, Grace poses in a lush garden setting modeling designs from the likes of Lovisa, George Wu and Gucci. 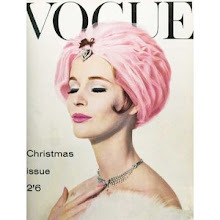 Continuing with the modern retro theme, hair stylist Sarah Laidlow creates her orange coif while makeup artist Casey Gore offers a vibrant lipstick look."